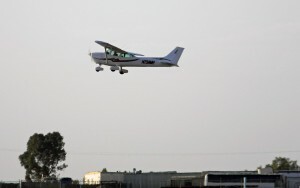 In order to become a private pilot in the United States, the FAA insists that you jump through a number of hoops – and you generally jump through each of those hoops in a certain order. The first thing to do is join a flying club. I belong to Plus One Flyers. Plus One may be the largest club in the country with over sixty-five airplanes of all types at a number of different airports. There are three classes of medical certificates – all you need to be a private pilot is a third class. If you wanna fly for an airline (“Why?” is another question), you’ll need to get a first class medical. That Student Pilot and Third Class Medical Certificate will come in handy when you solo and when you fly your solo cross country flights. Private pilot training is divided into four stages or phases. In the first phase, you learn basic aircraft maneuvers. There are four things you can do in an airplane: climb, descend, fly straight and level and turn. (Any aerobatic maneuver, no matter how complicated or thrilling, is just a combination of those four things.) You’ll learn to fly a heading, you’ll try to maintain an altitude, you’ll start to figure out how to make the flight controls work and how the airplane responds to your control input. It’s great fun and, sometimes, just a little scary. Once you master the basics, in the next phase you’ll learn how to land. It takes practice to be able to stop a 500 foot per minute descent just above the runway and make one of those picture perfect landings we occasionally enjoy in an airliner. It requires some skill and a touch of experience. It might be the most frustrating thing you’ll ever do in your life. But, when you finally figure it out and your wheels squeak onto the runway just as the wing runs out of lift, you’ll experience one of the true joys of flight. SOLO. It recalls memories of Lindbergh and Earhart, Orville and Wilbur Wright. Once you solo, your life will never be the same. Your solo will become a defining moment. You successfully lifted from the face of the earth and returned solely by your own skill. Some time after your solo, you should be thinking about taking your private pilot knowledge exam, the written test that FAA insists you pass before you can complete your training. You can study on your own, you can attend classes, or you can purchase knowledge test prep programs from companies that provide such a service. The feds insist on a minimum passing grade of 70%, but you’ll be better served if you score in the 90’s. More about that later. 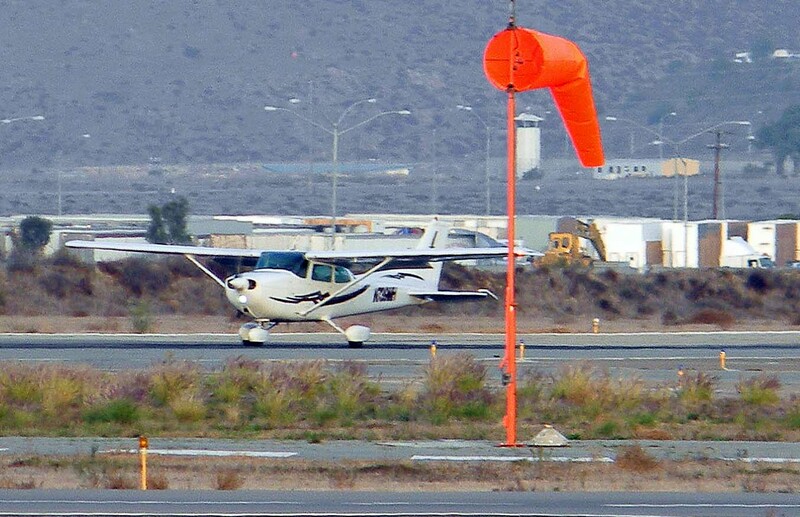 After first solo, you’ll solo again at a busier airport to add some complexity. Then begins the next phase of training, where you prepare for your cross country flights. What do you want to do after you achieve your private pilot certificate? You want to go places. Fly to Catalina. Drop into the desert. Take your friends north to the Bay Area for Dungeness crab or east to Peoria, Arizona for a Padres spring training game. You’ll expand your landing skills, you’ll learn to navigate by reference to charts, by means of “pilotage” and “dead reckoning” – and you’ll come to understand the wonderful world of radio navigation and the nuances of the Global Positioning Satellite system. You’ll take a couple of cross country flights with your instructor: one by day; the other by night. The cross countries will take a lot of planning and a touch of frustration, but it will prepare for your flying future. It requires an attention to detail that you might not have experienced in your normal life. It requires an ability to read and comprehend symbols on an aviation chart. It requires determination. And, lordy, when all your planning works out and you find your destination just where you thought it would be, and you do it all by yourself, it will become one of the most rewarding things you’ve ever done. The final phase of your training will be preparing for the private pilot practical exam. All of the guidelines for the knowledge and skills required, and the performance standards demanded, are published by FAA in a booklet which you can buy, or download from their website. The maneuvers are those that you practiced during your flight training. 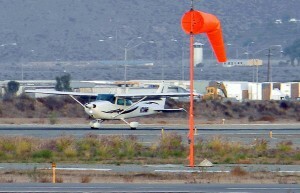 The practical test consists of two parts: an oral and the actual flight test. You’ll practice all of the maneuvers required, you’ll review all that you have learned about flying, then, when you’re ready, your instructor will make an appointment with a DPE (Designated Pilot Examiner – another bloody acronym) and you’ll take the test. You’ll be nervous – but we’re all nervous when we’re being tested. And this is where getting a good score on your knowledge exam will come in handy. If, say, you scored in the 90’s, the examiner will approach the oral exam a little differently than if you scored, say, in the 70’s. He will ask all the questions he must, but if you scored in the 90’s and you answer a question correctly, he’ll assume that you know the material and will move on. If you score in the 70’s and answer a question correctly, he may think that you’ve made a good guess and might proceed to explore the topic more deeply. When you get through the oral part of the exam, you’ll probably take a break (the oral can take two to three hours), then you’ll get to fly. The examiner will ask you to fly all the maneuvers required by the PTS – but, heck, that’s the fun part, flying the airplane. If you perform all the maneuvers to the PTS standards, the examiner will shake your hand and congratulate you on becoming the world’s newest private pilot. It will change your life.